©Mamadou Ouattara / Fondation Hirondelle A Studio Tamani journalist in charge of the video productions on Women's Rights in Mali. 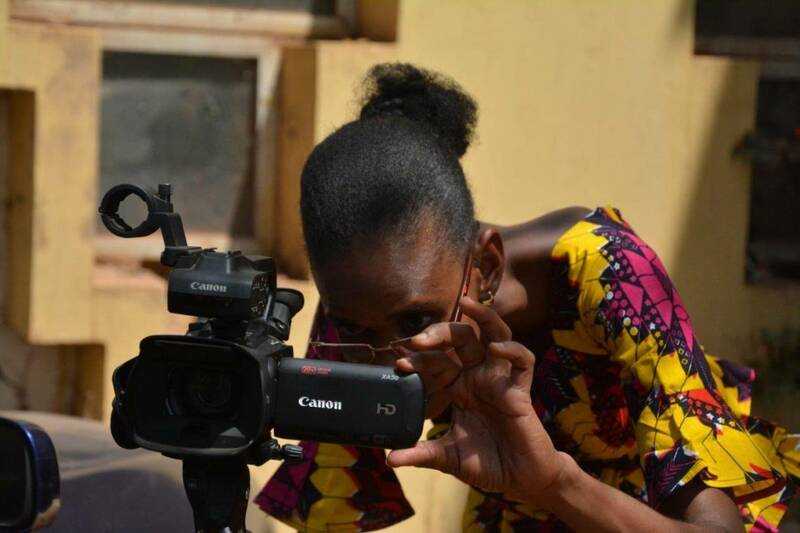 Studio Tamani, Fondation Hirondelle's news program in Mali, launches new production formats as part of a project to promote Women's rights and role in Malian society. The project will be carried out in collaboration with IMRAP (Malian Institute for Research and Action for Peace) over a period of two years. Objectives: to produce 10 motion design videos, 10 video documentaries, 20 audio magazines and 20 debates as part of the talk-show "Le Grand Dialogue". These productions will be broadcasted by the network of 72 radio and TV partners of Studio Tamani in the country. Empowering women through information is one of the thematic and editorial priorities of Fondation Hirondelle and its program in Mali, Studio Tamani. The launch of this project and these new productions are part of this strategy. This is also an opportunity for the Malian team of Studio Tamani to continue to learn new skills and new formats of programs, capitalizing on the dynamics of video productions initiated by the editorial team since September 2017. It has been possible to draw lessons from this development of a video offer and refine the internal reflections on Studio Tamani's "complementary digital offer" and the distribution of work within the team. The originality of this new project resides, on the one hand, in the desire to experiment with cross-media, ie the "declination" of content in audio, video and digital formats. Secondly, it resides in the desire to combine two different but complementary missions: the information and awareness mission, which is that of a medium like Studio Tamani, coupled with the mission of research and analysis which is that of IMRAP, a Malian association specialized in research on conflicts and their solutions (IMRAP was created at the initiative of Interpeace, an international organization based in Geneva). This combination of skills should in particular allow us to advance in our reflections on the impact measurement of the programs that Studio Tamani broadcasts, in particular on the theme of Women's Rights. An official launching ceremony of the Project will take place on Thursday 8 March 2017 at the headquarters of the European Union Delegation in Bamako, on the occasion of the International Women's Day. This project is funded by the European Union and Sweden.